Doris’s story is faithfully recorded here by her great-granddaughter, Sophie. For the Herstory Project I will be writing about my great-gran, Doris Young. I have chosen to write about her because I think her story is very interesting and inspiring. 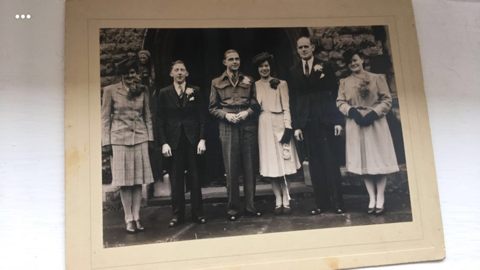 The most interesting thing I know about Doris is she was head of the Catering Corp, also known as the First Aid Nursing Yeomanry (and often abbreviated to FANY). In World War II she was serving in France when the Germans invaded and she had to be evacuated. She received many medals from the war. Another interesting fact is that her Great Uncle, Sir Frank Whittle, invented the jet engine. Doris grew up in Wales and lived with her mum and dad. As a child, she played outside with skipping ropes and hopscotch. After school was over she fell in love with and married John Young, who worked in administration for the War Office but was also a painter and decorator. They moved to Cambuslang and had four children; Glynis, Isabelle, Gareth and Mark. For the last fifteen years of her life Doris lived alone in Cambuslang as John died of pneumonia in 1986. She spent the last three years of her life in a nursing home. I never met Doris but it is inspiring to hear some of the things she’s accomplished in her life and this is why I told her story. Doris is remembered for being a great mum and gran and an excellent baker.